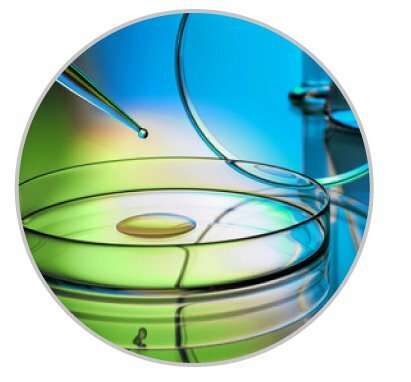 The R&D laboratory is constantly looking for new natural biologically active molecules, issued from plant, marine and microbiological origin, to develop innovative active ingredients, intended for cosmetic, pharmaceutical and nutraceutical fields. A large catalog of conventional, or certified organic Ecocert assets, meeting all needs. The laboratory has its own database, containing an extensive collection of 30 000 plants and 300 000 biological molecules! A third of GREENTECH personnel is dedicated to R&D, of which 40% of Doctors (in human and plant biology, physiology, nutrition, chemistry, bioprocesses and microbiology, etc.). This innovative and exclusive technology enables, without any solvents, to sample the quintessence of the plants, while preserving its integrity, in order to recover its active ingredients, fully intact. • Different parts of the plant: flower, leaf, fruit, bud, etc. • Different types of solvents: water, alcohol, glycols, glycerin, oils, etc.